Bovine eye (quartz) can belong to Labrador or be quartz - it Quartz (oxide of silicon of SiO2) with the fine-crystalline including of anhydroferrite (oxide of iron Fe). It is sometimes possible to look after visible an eye thin inclusion anhydroferrite or hematite sole on a natural bovine eye. 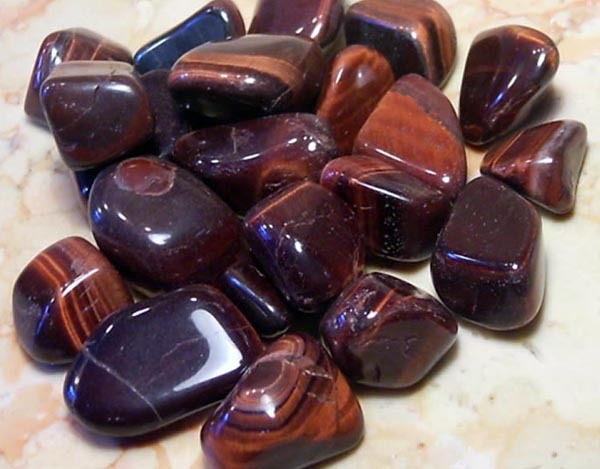 Stone has a beautiful brown-red tint and silky flowing, characteristic for a tiger and falcon eye. If Tiger's-eye temper burn, brown hydroxides of iron Fe will grow into a cherry-red oxide is an anhydroferrite - and stone will purchase a beautiful brown-red tint. Got carpentry stone name a bovine eye. If for strengthening of light of Bovine eye (quartz) to process the special solutions which delete mineralogical inclusion (in the concentrated muriatic acid), it is sometimes possible to get attractive stone with the effect of cat's-eye. Amulet. It is impossible to carry constantly, because Bovine eye (quartz) possesses magic aggressive force and helps an energetic and active person quick to attain the put purpose. To the people inactive he is unavailing and does not love such.